Even though you’re eating salad, thanks to the suave style of your Alessi Salad Servers, it’ll seem as decadent as a double layer black forest cake. But don't feel guilty...it's just salad! 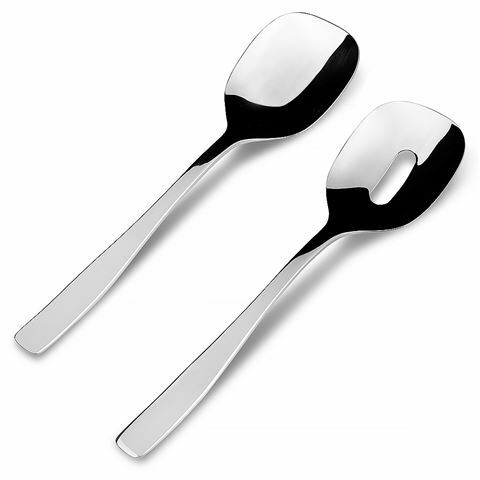 Chic and luxurious, this super-shiny stainless steel salad server set adds an instant sense of modern elegance to any table. Try it and find out! Made from 18/10 stainless steel, with a brushed, satin finish.